Content writers, for your attention!! This is for the writers who are interested in creating 1000 words in 30 minutes. Those who write the articles slowly, here are the tips to speed up your writings and deliver the article sooner with the best quality. These tips make you sharper and sincere while writing your topics. Generally, any newbie in content writing field will take longer time than usual to complete even an article of 600 words. But this is actually a bad practice which must be corrected at the correct time. Thus, here are some useful tips to make you more dedicated to your field. It sounds insane when you read this, but actually this is more meaningful when you start the job of content writing. Just start typing your words and doesn’t mind about the editing. Do not cross check every now and then, which will seriously take over ample of your precious time. Thus, write the contents at first and then edit it later. This is a very important point while you start writing any contents. Just try to time yourself and strictly stick to it. Have in mind that you should complete it within the specified time. Practicing this will make you more perfect and sharper. This is a very important skill that one should have to become a professional writer and a successful blogger. Try to figure out what you are going to write and what you are trying to deliver in your content. Be clear about the topics and its subtopics. Clearly frame a flowchart of what you are going to write. Allocate time for every section and write contents according to the time you have allocated. In case, anywhere if you are stuck up in between(i.e.) if you do not understand the meaning of particular word or phrase, just don’t get stagnant in that same page. Immediately look up for the other web pages where you can get the similar contents with easy understandable words. Don’t get tensed up. Just try to finish it off within the specified time period. Relax yourself and lose your muscles. If you are not able to finish it within that time, just try and try again and make sure that you shouldn’t give it up. Researching a topic before start writing will help you to a great extent to finish it off quickly. It is very important that the writing should never be taken easily since every word you write must be correctly researched and delivered. It is better if you cross check the important factors in your topic before you start writing. And another more important thing is avoid distraction. If you are searching for a particular topic in the internet, if you see similar other related topics you are immediately deviated and start to surf those pages. This must be strictly avoided and you must stick over the time you have fixed. Thus, you have to surf only needed pages and not any unnecessary pages. You can even turn off the advertisements that showed on your web pages. This will definitely make you more attentive and concentrated while surfing. This is important. Ignore the errors, typos and grammatical mistakes and any other thing that have the power to stop your writings. Keep on practicing this, even you find it difficult in the beginning. When you have decided to start writing the articles faster, then you should need to stop worrying about the quality of the content. Focus on getting it written before you focus on cleaning it up. Just focus only to finish the flowchart of your content as quickly as possible. You can edit it later and can check for the quality at last. To be more focused and concentrated, you have to cool your inner self and keep yourself relaxed. 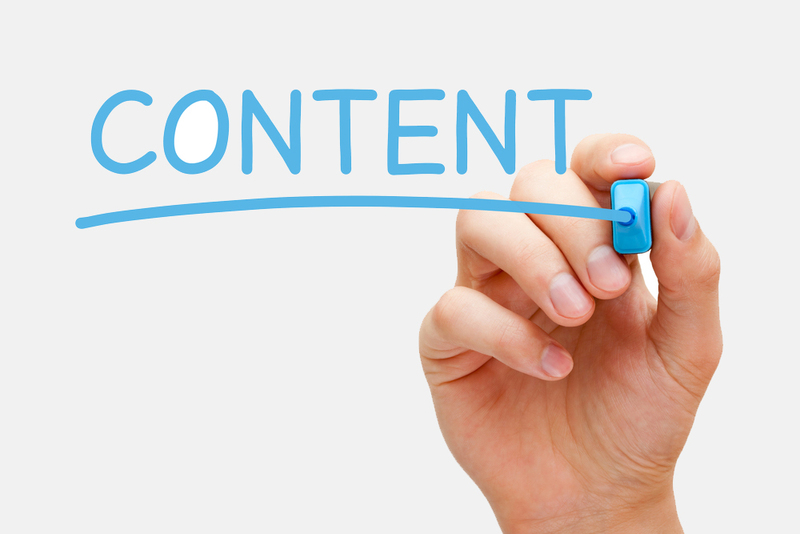 The more relaxed you are the, greater and efficient content you can produce. Really try this, it will work for your surprise. Did you enjoy this post? Don’t forget to Join My Newsletter for more great tips. What tips you follow to create content for your readers? Share in the comment section. Share this post and Make it useful to others. thanks for shearing such a wonderful article with us, it is really helpful for me and for all the blogger, i think after reading your article i am able to write more post on my site, it is very helpful for me. Welcome to my blog. Glad you you like this post. Yes this post will helpful to the content writers and bloggers who are trying to create article with more number of words within a short span of time. Thanks for your appreciation. Keep on reading my blog karan. Really, this was an informative post on how to write 1000 words in 30 minutes. I truly agree with you that we should switch off all the distractions while writing our content. I really enjoyed this post. Thanks for sharing this ultimate guide. Thanks for stopping by . Glad you like this post. Yes we have to concentrate while writing articles or content to our blog. Because we are writing not only for our blog, we writing for our readers. They are very important to the blogger. So distraction lead to mistakes in the content. Anyway thanks for coming here and my next post will be soon. Keep on reading my blog nikhil. However, a lot depends on what you are writing too, like is it a research kind of post, some of mine fall in that category, and those take a few hours to write. Not to mention that because I never limit my words really (though I do see the word count and don’t go beyond 3000 words) but giving full information is what I believe in, so then, 30 minutes are never enough. Yes, if you are writing content for clients or you have a word limit, or even if you write free style, this much time is enough. But you must sleep over your posts or give it more time before you sit to edit, though some people like doing it side by side, but that perhaps isn’t a good practice. Again depends from person to person I would say. Yes i agree with you. These are the important things to follow up for a content writer. According to me, creation of content may be anything, but we are responsible for the proper output. Timing is not enough for a creators like you. Writing style differs from person to person. But a proper planning before writing will be finished in particular time interval. Thanks for your comment mam. Glad you like this. Keep on coming to my blog. Hi Nirmal, Thanks for the great tips, content writing is one of the most important tasks for a blogger, but it’s not so easy for newbies. If they follow your guidelines they really can do it easily. Again thanks for the nice post. I don’t think so, content writing is difficult to newbie blogger. Yes of-course, this post will surely helps lot for newbies. Thanks for your appreciation. Glad you like this post manik. Keep on reading my blog. Thanks for your kind words and appreciation. Glad this post is useful to you. Keep on coming here and thanks for stopping by. Sometimes you can’t write even a smaller post in hours and hours and sometimes you create a master piece of blog post in a few minutes. This all depends upon the time when you are at the height of productivity. But being a blog writer we should not follow our mood or productivity timing. We just to follow our blogging schedule and write by following the tips you mentioned in this post. If not exactly in 30 minutes but in near about this much time we can write a first draft of our post to edit and fine tune it in another 30 minute after a gap of few hours. Thanks for combining all the awesome tips which we keep reading in split with different perspectives on different blogs. Thanks a lot buddy. Glad you like this post. Yes sometimes we take more time to write for small post and little time for awesome content. But both of this depends on how much we spend for doing research. Anyway thanks for coming here. Keep on reading my blog. I think these tips are great. However, there are some topics I don’t even need up to 30 minutes to write 1000 words. There are some that may take up to one day or more to do 1000 words. Why because you need to do a lot of research work. Content developers have that challenge of dealing with clients with writing jobs on different topics. If you really don’t want to do copy paste, you often will need more time for some topics and less than 30 minutes for some. I agree with your points. It may take one day or even a week to do for research. I am saying, write 1000 words in 3o minutes. Research for the content may take one or more days, we have to make plan for writing a content, but after planning, creating 1000 words in 30 minutes is easy to do. Glad you like this post and understand what i said. Thanks for stopping by. Keep on coming here. Have a happy weekend. Thanks for dropping a comment here. Glad you like this post. Keep coming. Glad you like this post. Thanks for your appreciation dear. Keep coming. Thanks for convert your own experience in words and I’m sure that all top bloggers & writers doing this practice to write articles quickly. That’s really a great article. I feel boring sometimes when writing 1000+ words article. I hope I must try your techniques future. Thanks a lot man. Glad you found this as useful. Keep Coming and thanks for going to try these techniques.